Scranton Mixed Martial Arts would like to invite you to try our UFC style training free of charge for 30 days! We also offer all of our new beginner students a free private lesson with one of our instructors. This makes getting started in mixed martial arts very easy for everyone who is interested. 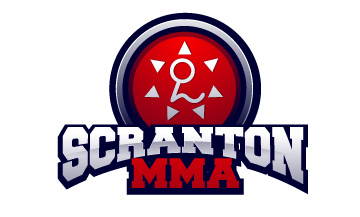 During the free private lesson you will start to get an idea of what we have to offer at Scranton Mixed Martial Arts. You will get to see our world class facility and everything we have to offer. We are the only school in the area that have professional instructors in Boxing, Muay Thai kick boxing, Judo and Gracie Jiu Jitsu. Most schools have one or two instructors who then try to teach all of the individual aspects of Mixed Martial Arts. At Scranton MMA you can be assured that when you take a class you have someone who specializes in that art or style. They will be well prepared to take you from an absolute novice to an expert in the field. We have full curriculums for all of our classes so you can be sure that what you are learning and practicing has worked for hundreds of other students before. Again we are the only school in NEPA that offers this level of detailed instruction. Getting started has never been easier. Call us today or send us an email and we will set up a tour of our facility, you will meet with one of our qualified instructors who will answer any questions you have about training and what goals you have and you will get a free private one on one lesson. If you decide to join we offer 30 days of free training and a 60 day money back guarantee if you are not 100% satisfied with what we have to offer. So stop what you are doing and call us or email us now!